The Churches Of Johnson & Logan Counties Sometimes you need to know the simple stuff. “What are some Southern Baptist Churches in my area? “Where is the church located? What are the service times? “How do I make contact on a day other than Sunday?” The answer to those questions and more are available here. There are presently Eight Southern Baptist churches in Johnson and Logan Counties located in 6 cities/locations. Records indicate that New Hope (Just outside of Dardanelle) may be the oldest Southern Baptist congregation in the county with Grace Memorial, in Bellville, being the new kid on the block. A little more information will be added shortly but please check out the stuff we do have and give us some feedback on how we can continue to make our website better. 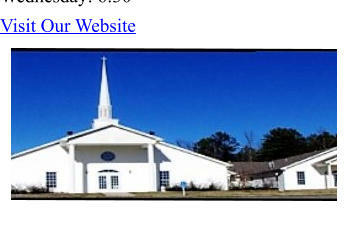 Contact Information: 181 Oak Street Knoxville, Arkansas Ministers: Pastor: Richard Snyder Service Schedule: Sunday Morning Bible Study: 9:45 Sunday Morning Service: 11:00 Sunday Evening Service: 6:00 First Baptist Church is easy to find! Turn south off of HWY 64 on Plum, Apricot, or Cherry Street. Each of these intersect with Oak Street and signs or the church itself will lead you the rest of the way! Please visit with us anytime! Contact Information: 104 South Fulton Street Clarksville, Arkansas Ministers: Pastor: James Bell Service Schedule: Service Times Coming Soon!